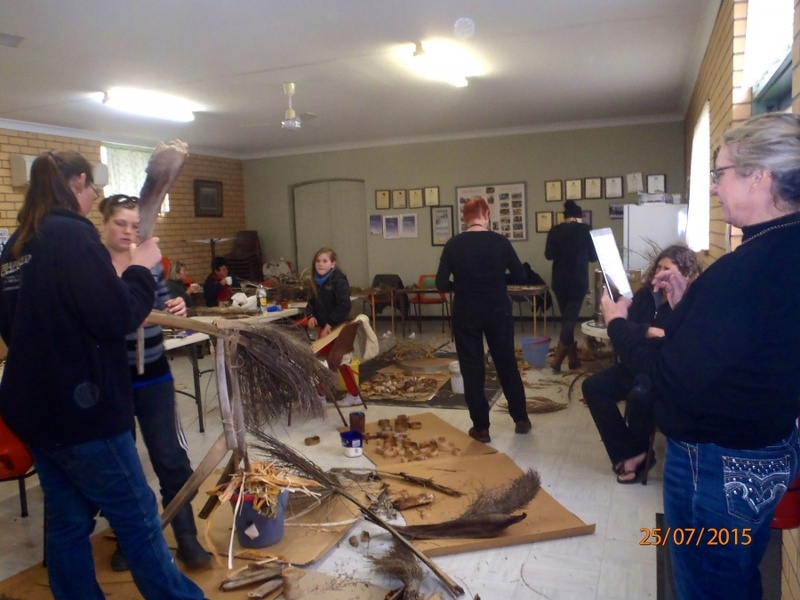 commented on "As part of SALA 3 Burra artists and I ran our first workshop at Terowie as apart of our Down to Earth Ephemeral Art project. This took ..."
As part of SALA 3 Burra artists and I ran our first workshop at Terowie as apart of our Down to Earth Ephemeral Art project. This took me back to my time working with Helen Lyons, a dynamic and outstanding artist, who sadly died over a decade ago. It is taking art to those communities that are often marginalised and the experience was wonderful. We shared stories and ideas on the meaning of life and the influence of media so prolific in damaging the capacity for wonder and awe in children. Then we were onto creating and there was some wonderful found art creations from young and old.